Custom 2013 Well Maintained Landmark Edition on a GORGEOUS Creekside Lot. Extended Transferrable Warranty. 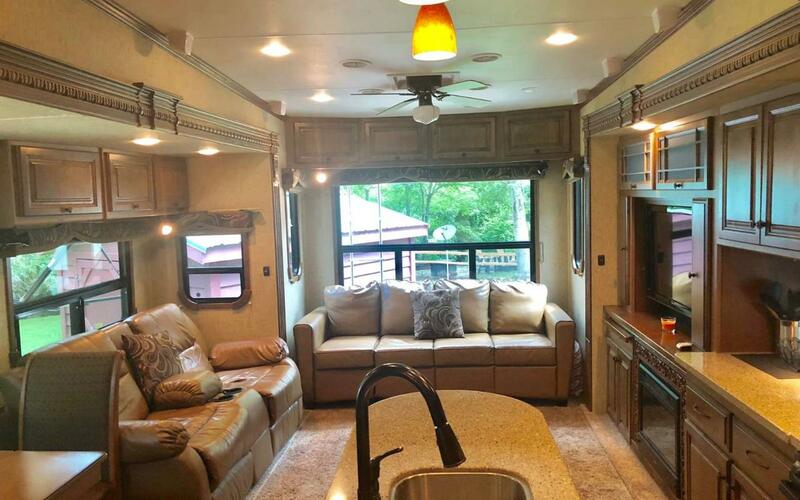 This RV is set up for Year Round Living! 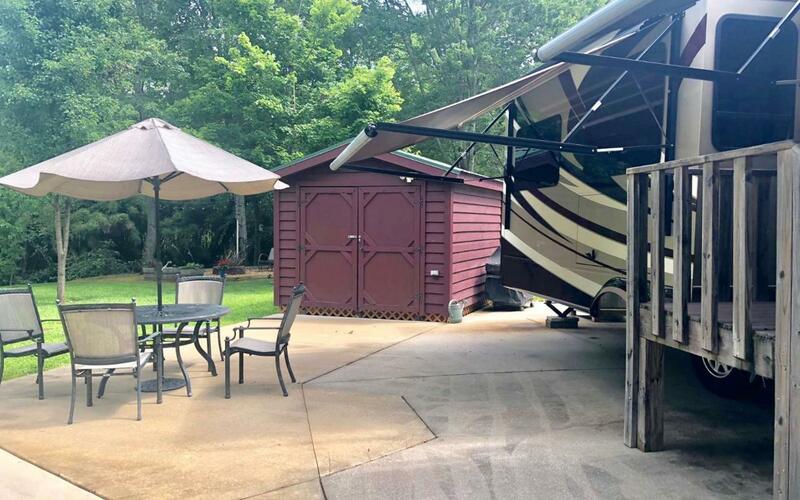 Includes Upgraded RV Ownings, Corian Countertops, Double Kitchen Sink, 2 year old HVAC, 3 Slide-Outs w/Covers, Electric Fireplace, Washer/Dryer, Yetti Cold Weather Package, Outdoor Entertainment Package, Vac. System, King bed w/ Upgraded Mattresses, Leather Couch makes a queen bed. 125 Gallon Propane Tank, Completely Furnished. Seller only taking personal belongings. Call today! Listing provided courtesy of Coldwell Banker High Country Realty - Blairsville.